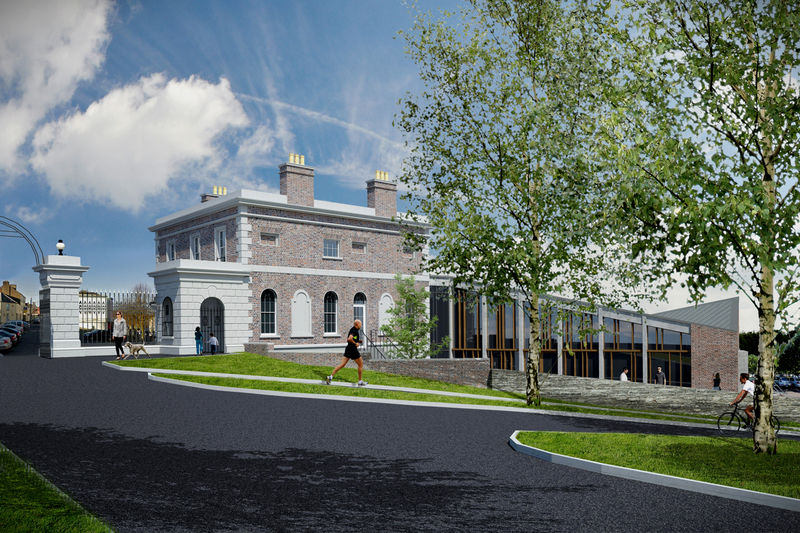 The proposed extension to and refurbishment of Hope Castle Gate Lodge, for the development of a branch library for Castleblayney. The Gate Lodge, a protected structure, was built in the 1860s. 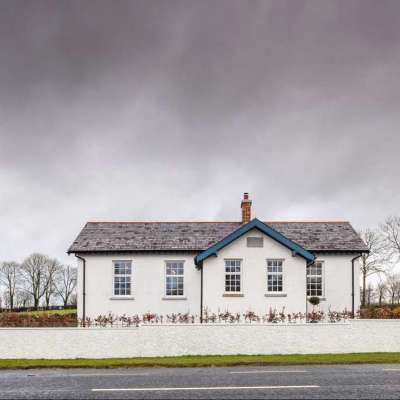 Together with its sister building, which we procured the refurbishment of in 2016, it is an extremely important building in the architectural heritage of Castleblaney, Co. Monaghan. Together they form the entrance to Hope Castle and the Lough Muckno Estate. 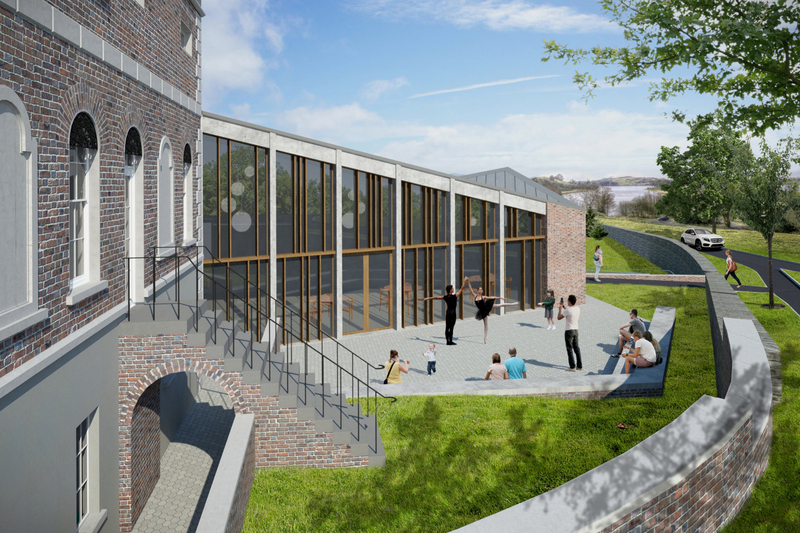 The proposed extension is a contemporary form, contrasting with the formality of the existing building. 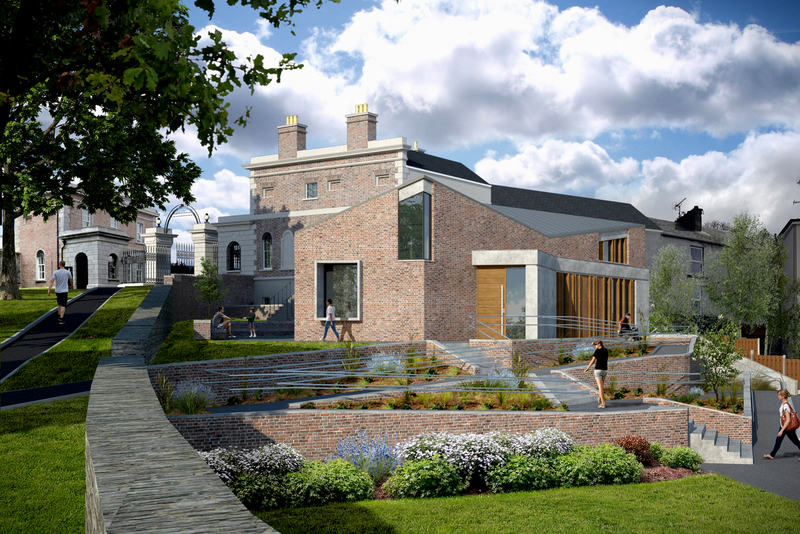 The architectural language is distinctive, maximising natural light and conveying openness to the public. 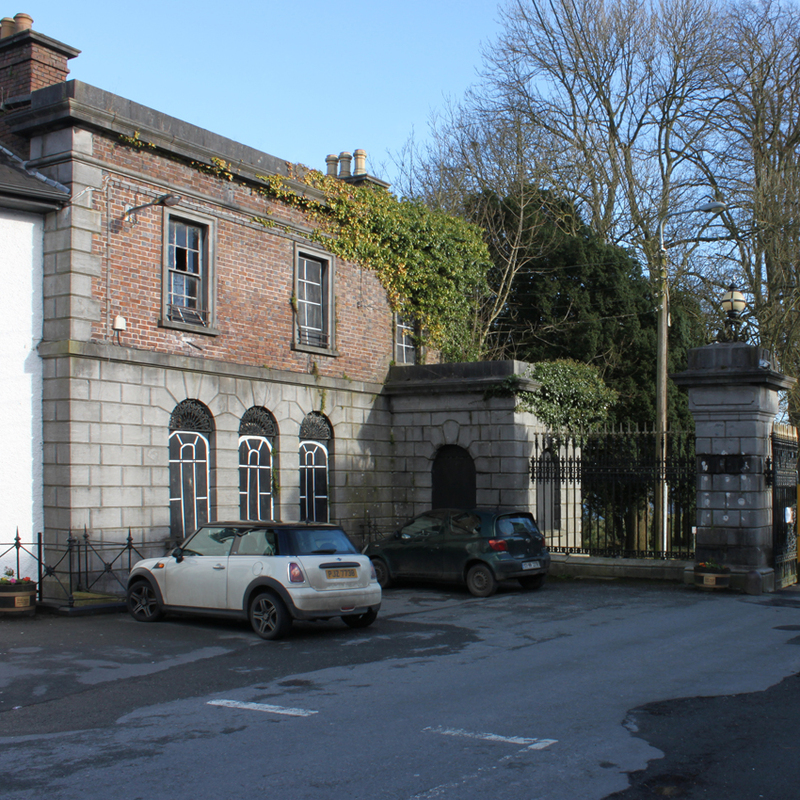 The extension is deliberately set back and at a lower level than the Gate Lodge, respectful of the original building, maintaining its place of prominence on the street without detracting from the setting. 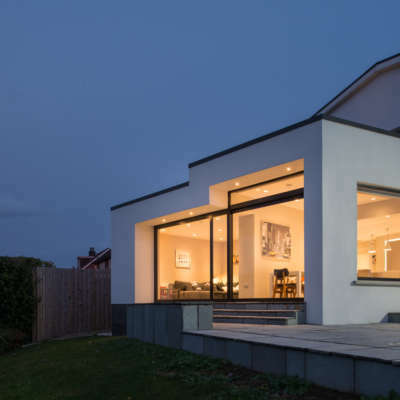 In contrast with the formality of the original, the new extension is bolder in its composition, a geometric form with planar roof profiles making a deliberate statement. 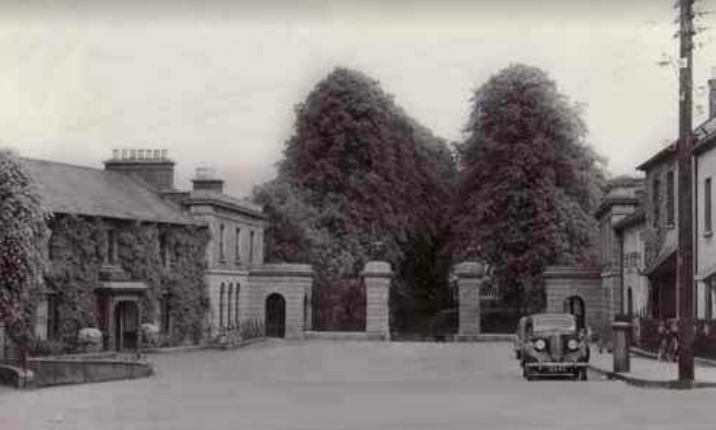 The Gate Lodges, together with a fine formal gateway between, form the entrance to the Hope Castle and the Lough Muckno Estate. 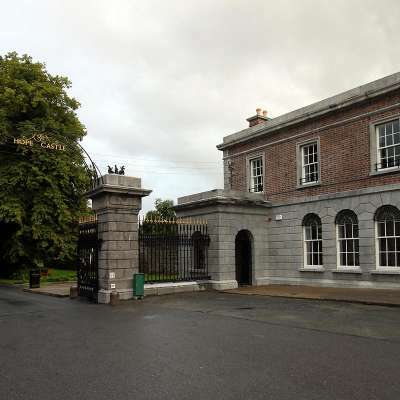 Hope Castle has an extremely rich history dating from the 1780’s, the Gate Lodges are an important link between the Castle and Castleblayney Town. Having been unoccupied since last being used as a theatre a number of years ago, the building has fallen into disrepair, suffering from significant vandalism and neglect.